hiking tax rebates for exporters for some goods. The $200bn tariff list was first announced in July. Tariffs will become effective at 10% on September 24, and will increase to 25% on the first day of 2019. 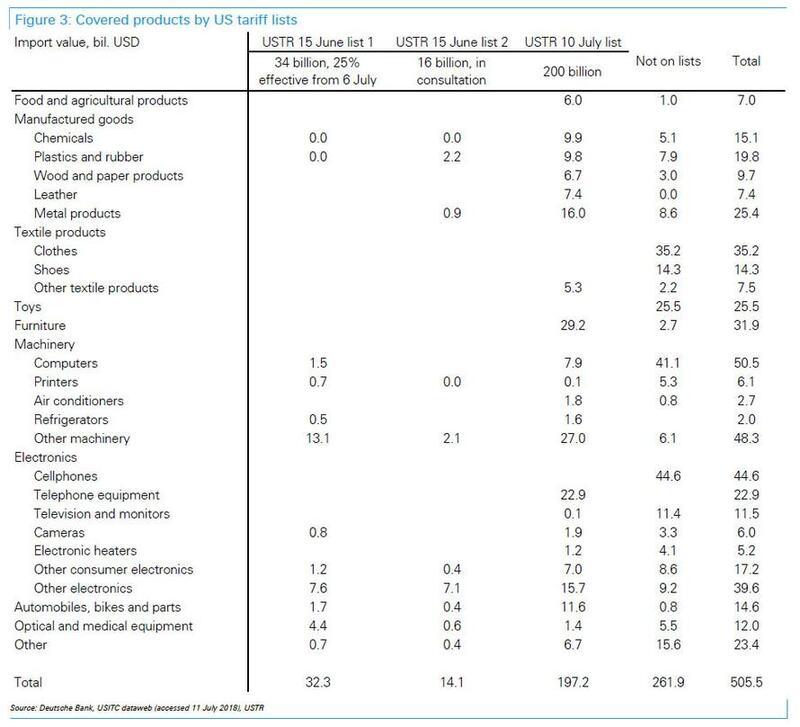 Exports could be supported by front-running efforts against this list in Q3. As a baseline expect exports to fall in Q4. 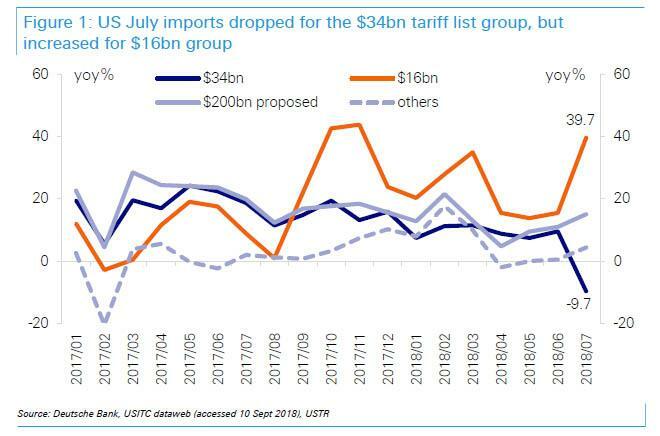 But there could be some upside risk, as companies might choose to increase their exports in Q4 to front-run the 25% tariff, even if they need to pay a 10% tariff on them. Exports should drop in 2019 when the tariff rate increases to 25%. In addition, the US said it may further impose tariffs on the remaining $267bn of Chinese exports. These include major products such as computers, cell phones, apparel and shoes (Figure 3). If the US takes further action on this, it may trigger further front-running in the short run for these products. In other words, with staggered "frontrunning" of future sanctions, 2018 will likely be a strong year for Chinese trade: as a baseline case, overall exports growth is expected to slow, but only gradually to 7% in Q4 2018 and 4% in Q1 2019. As a result, exports to the US will slow more rapidly, though growth will likely still stay positive in Q4 2018, and finally turn negative only in Q1 2019. 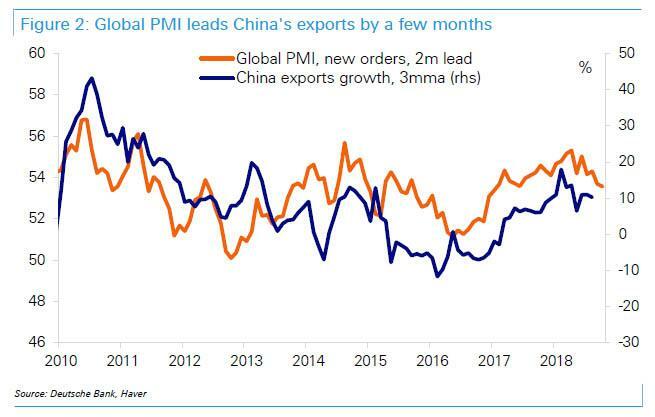 It is only then that the trade outlook will be more challenging, especially if the trade war escalates further and drives out some supply chains from China.